Russia's leading rifle maker Izhmekh and the maker of the famous AK-47 Izhmash could merge under the Kalashnikov brand in order to avoid bankruptcy, according to Russian Deputy PM Dmitry Rogozin. ­"We need to set up a new-old brand, named 'Kalashnikov', based on the two old factories," said Rogozin, who has special responsibilities for Russia's arms industry. "Izhmekh and Izhmash, with all my respect, are not a brand. Kalashnikov – that's a brand," he pointed out. 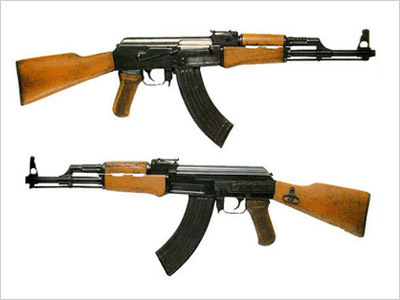 With the merged Izhmash and Izhmekh would own the brand name “Kalashnikov” and all rights on it. Currently the Glazovsky liquor plant has produced Kalashnikov-brand vodka since 1995. A German company, MMI has the rights to produce watches, umbrellas and other consumer goods under the Kalashnikov brand. 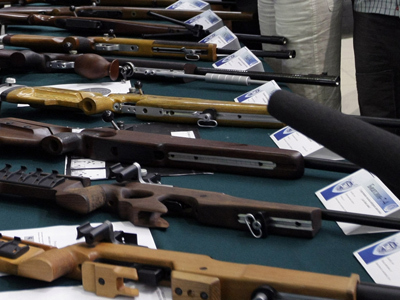 Besides that millions of illegally weapons are produced around the world under the name “Kalashnikov”. The image of the famous assault rifle is also on the national flag of Mozambique. Rogozin also said the final decision on a merger will be made by the parent holding company Rostekhnologii. Meanwhile, the members of Russia's military-technical commission have arrived on Friday in Izhevsk, the Urals city where the two enterprises are based, for talks on the possible merger, according to Rogozin. Izhmash produces over 70 types of weaponry, including firearms, aircraft guns, precision artillery rounds, as well as a variety of sporting and hunting weapons, which are sold at home and abroad. 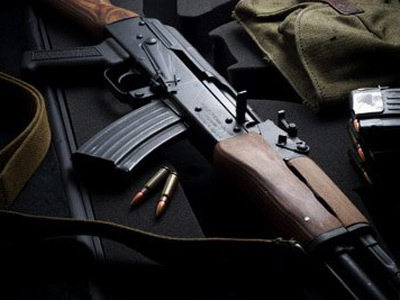 Sales in the United States of the civilian versions of the AK47, known under the brand name Saiga, rose by 50% last year, according to officials at the factory. Law enforcement organisations from France, Poland and Australia have already ordered a number of modified versions. Despite the worldwide renown of its products, Izhmash found itself at the brink of bankruptcy after a recent audit revealed that by last year, the manufacturer had run up debts of $650 million. With a complicated multilevel management system, obsolete facilities and low capacity the company had become unprofitable. Production fell 50% in September, resulting in wage cuts and lay-offs. 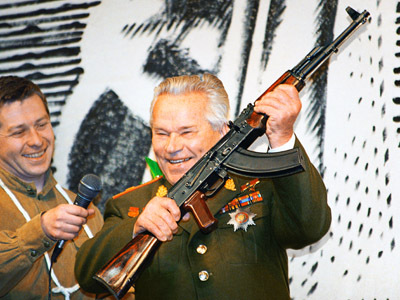 In October, Izhmash employees, including the legendary Mikhail Kalashnikov, the designer of the AK-47 assault rifle, sent a joint letter to the Kremlin complaining about falling production volumes and low wages. Earlier this year a new management team led by CEO Maxim Kizuk announced plans to bring the troubled rifle-maker back on track by spending about $70 million over the next three years to upgrade its production facilities. The company planed to finalize its recovery by the beginning of 2013 and hoped to develop 10 new products next year including the new AK-12 rifle. 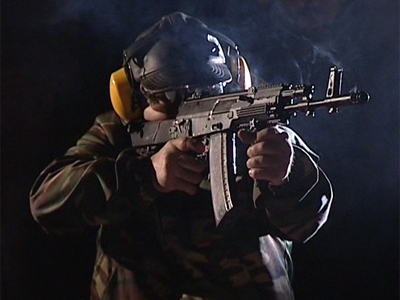 The plans came under question as Deputy Defense Minister Alexander Sukhorukov said in January the Russian Army would not be buying the new AK-12 as it already had millions of AK-74 rifles in its arsenal. Izhmash relies heavily on Russian defense orders for its survival.